Insomniac Games used software and Gameware technology from Autodesk, Inc. (NASDAQ: ADSK) to develop Sony Computer Entertainment America LLC (SCEA)’s first-person shooter videogame title, “Resistance® 3,” developed exclusively for the PlayStation®3 computer entertainment system. Autodesk technology was also used to create the game’s downloadable content packs (DLCs), including the recently released Brutality Pack. Autodesk, Inc. announced that Tag Games used Autodesk 3ds Max modeling, animation and rendering software to create striking 3D environments for "Funpark Friends", a new build-your-own theme park simulator game for iPhone and iPod Touch mobile digital devices. 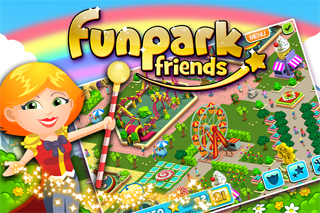 "Funpark Friends" incorporates eye-catching 3D elements that help the game stand out from other games on the market. Developing games with a 3D workflow helps smaller studios like Tag Games attract attention in a competitive market. "Many people still download or buy a game based on a screenshot. They are judging your game on one static screenshot, and 3D makes a much bigger impact than 2D," said Paul Farley, managing director, Tag Games. For the new Gears of War 3 spot "Dust to Dust," twofifteenmccann, Epic Games, Director Adam Berg and digital production studio Digital Domain created an all-CG spot using an innovative virtual production technique that gave Berg complete camera control to shoot the spot like live action and deliver a cinematic showpiece for the trilogy's final chapter - a single time-lapsed take that traverses all three Gears of War (GOW) worlds. "Gears of War 3," the latest installment of the blockbuster franchise for the Microsoft Xbox 360, became available September 20. The new :60 second spot, which premiered on machinima.com September 1, is viewable here. 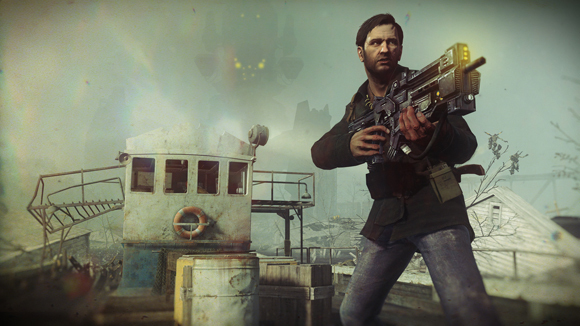 Digital Domain has been a digital production partner to twofifteenmccann on all five commercials for the GOW franchise. Working with the agency and Berg (via Smuggler Films), Digital Domain VFX Supervisor Vernon Wilbert (who directed the GOW3 trailer "Ashes to Ashes") devised a production process for wrapping the storylines of all four previous trailers into a single time-lapse story and realizing Berg's vision of a single-take feel from a hand-held camera. 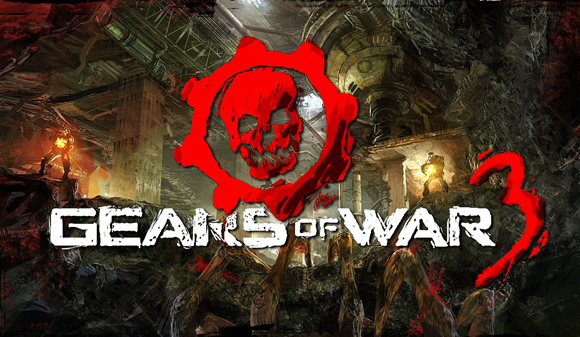 The result is a seamless first person experience of being alongside protagonist Marcus Fenix in GOW1 as the Locusts emerge, battling the Horde in GOW2's Jacinto City when the flood surges in, and facing up to a horrifying new enemy in the opening of GOW3. To begin the production process, Digital Domain first tapped Epic Games' library for 3D assets from all three games, then re-rendered them to create preliminary pre-vis. Then, working in Digital Domain's new virtual production studio in Marina del Rey, Wilbert and his team provided Berg with the pre-vis and a virtual camera so he was able to go onto the stage and direct the movement of CG sets and motion-capture actors in real-time. As Berg moved his camera around, a pre-vis artist repositioned set pieces and built the set in real time, according to what Berg wanted to shoot. Wilbert explained, "Adam was trying to get an angle shooting down the escalators, for example, and we were able to rotate them until he was comfortable where it should be. When Fenix jumped down the escalator into the Badlands, Adam was able to tell us where he wanted the helicopter placed - 10 feet away? 30? And we'd put it there - all in a matter of seconds." "Doing CG and traditional pre-vis usually means being two steps removed from the action," said Tom Wright, Director of Integrated Production at twofifteenmccann. "You're standing at a workstation asking someone, "Can we move that there?" Can we try this with the camera?" What Digital Domain set up was entirely different. Adam was able to get on set and see the framing for every shot, and more importantly, to manipulate it in real time, like shooting live action. It allowed the process to be about filmmaking, and not just moving things around in the computer." On the creative front, Vernon and his team also applied their artistry to the complex challenges of time-lapse. "Typically when you use time-lapse the camera is still or fluid. What we've done is a hybrid - you see the staccato nature of the action, and we added trees and buildings that disappear over time, and had things shrink, decay and darken," said Wilbert. Digital Domain also created the sophisticated fluid effects in the Jacinto City flood segment. "Virtual production emerged in the feature film world because it gives directors more options, more flexibility, and ultimately more choices for creating exactly what they have in mind," said Ed Ulbrich, EVP of Digital Domain and President of Mothership. "Extending these capabilities to games and advertising is a logical evolution and the techniques are ideally suited to the project timelines and budgets of commercial production." Join the Ranks of Team Penguin in THQ's The Penguins of MadagascarTM: Dr. Blowhole Returns - Again! 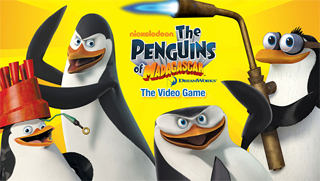 Become the newest recruit to Team Penguin as they rally against the nefarious Dr. Blowhole in the hilariously action-packed The Penguins of Madagascar: Dr. Blowhole Returns - Again!, an all-new video-game adventure available in stores today on the uDraw GameTablet(R) for Wii(TM), Kinect(TM) for Xbox 360(R), PlayStation(R)3 and Nintendo DS(TM). “Shooting Blocks” is back with new challenging levels! AdoreStudio Ltd has announced the release of their new game “Shooting Blocks 2,” a true brain twister for those who have already fallen in love with the previous version of the game. 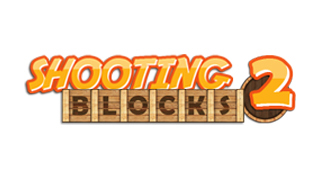 Shooting Blocks 2 is a game intended to provoke logical thinking. Each level opens with a tower of blocks standing on a platform or on non-moving blocks. The concept of the game is to destroy all empty blocks trying to save filled ones. The fresh game “Shooting Blocks 2” is remarkable for its eye-pleasing graphics and captivating gameplay that any fan of casual games will appreciate. There are 40 levels which are divided into 2 packs. The new gaming elements added by developers and the number of lives decreased to three make “Shooting Blocks 2” much more difficult to get through. The current version of the game is designed for both Windows and Mac OS and is available for direct download at http://www.adoregames.com/shootingblocks2/. The game is absolutely free, safe and easy to install. “Shooting Blocks” is not the only project AdoreStudio is working on. The company is developing some other free games at the moment and new products will be released in autumn this year. What is more, AdoreStudio developers are thinking about adapting their games for some other platforms, such as iPhone, iPad and Android. eGames, Inc. Changes Its Name to Entertainment Games, Inc.